I attended a special meeting held by the All-Party Parliamentary Group (APPG) on pancreatic cancer on Tuesday 18th June. Anna Soubry, the public health minister with a remit for public health and cancer, was there to address the attendees. One of the most important outcomes of the meeting was the realisation that we at Pancreatic Cancer Action and our supporters need to be clear about what we are asking members of the government to do. In my opinion, we need to send letters to our local MPs asking for their help in tackling pancreatic cancer head on with a clear idea of how they can do this. We have drafted a template letter that you are welcome to download and send to your MP, which also encourages them to participate in the APPG Pancreatic Cancer. While Ms Soubry acknowledged the very poor status of the disease in terms of survival rates, some of the statistics that she had been provided by researchers were a little out of date. Therefore, a set of Pancreatic Cancer Action Statistics packs are on their way to her office to ensure she is properly informed for future consultations! There was little mention of what Ms Soubry can practically do for the APPG or for those of us campaigning in other ways. However, the APPG were asked to submit a copy of the Inquiry Report to her department, and that she could speak to NHS England next year when the Secretary of State for Health, Jeremy Hunt, sets out the mandate for the next year. According to Ms Soubry, Jeremy Hunt has a focus on outcomes and a desire for mortality rates to be better. 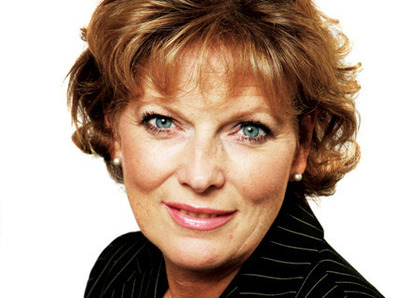 Late diagnosis of cancer was given as one of the primary reasons for the fact that cancer outcomes are lower in England, than in other parts of Europe/World, by Ms Soubry. However, there was no specific reference to statistics in relation to pancreatic cancer. This is probably because there have been very few benchmarking exercises have included pancreatic cancer outcomes as a measure. This will soon change hopefully now that the Expert panel for the HPC Pancreatic Cancer Index has been established. This is a benchmarking exercise that will for the first time compare and analyse therapy options across all 28 member states of EU plus Norway and Switzerland. I am one of the experts on this panel. The Euro Pancreatic Cancer Index (EPI) report will be published in early 2014 and reported to various government departments responsible for cancer services in each country. Questions were invited from attendees and topics included better access to diagnostic tests for GPs in particular (which we at Pancreatic Cancer Action want to see) and about the level of research funding for the disease. It was also asked if pancreatic cancer could be included in the International Cancer Benchmarking Partnership (ICBP), which currently looks only at breast, lung, colorectal and ovarian cancer. Ms Soubry said she would ask the question as to whether pancreatic cancer can be included in the ICBP Study. She stated that the lack of research funding was mainly due to the lack of quality pancreatic cancer research proposals submitted for funding, rather than an intention not to fund. I suggested that it was rather ‘chicken and egg’ as more money available for pancreatic cancer research would actually attract better proposals. I asked how the minister could help us get an audit on pancreatic cancer done in England like the ones currently done for lung cancer and breast cancer. Audits will help us understand the pancreatic cancer landscape in England and will identify where there are areas of excellent practice that areas not performing so well could emulate – to bring up standards. I also pointed out that NHS Scotland has been auditing pancreatic cancer services for the past couple of years. Ms Soubry was taken aback and was clearly unaware that such an audit exists. It was suggested that we approach NHS England to expedite this – which is what we at Pancreatic Cancer Action will do. There was a very emotional question put by a mother who had lost her 29 year old daughter to pancreatic cancer after being dismissed by GPs on many occasions. She argued that more training and education was needed for GPs on pancreatic cancer. Ms Soubry said that it was a difficult problem for GPs who are asked a lot of in the course of their work and it is very difficult for them to know everything. We will be alerting Ms Soubry’s office to the existence of the Pancreatic Cancer Action/RCGP e-learning module on “Diagnosing Pancreatic Cancer in Primary Care” in the hope they will help us promote this essential, free tool to the Primary Care Community. It is not known at this stage what will come of this meeting with the minister. However, we have presented some of the issues faced by pancreatic cancer patients and their families to Ms Soubry, and we can only hope that with her greater awareness of these issues, pancreatic cancer will be higher up the agenda when decisions are made regarding policies and funding by the Department of Health. Previous Article The Paris Peddlers set off on a 205 mile journey to Paris! Next Article Diabetes after pancreatic cancer: What type am I? ?